A few weeks ago, we showed how the number of images and lines of text in an email campaign impacts click-through rates. In general, we found that less is more. Emails with about 20 lines of text and three or fewer images receive the highest click-through rate. We followed it up with a look at some industry-specific findings in the for-profit sector, including differences in email campaigns for restaurants, spas, retail stores, and real estate. Now, we’re going to explore what the data shows for nonprofits and see if there are any takeaways to help you send more effective email campaigns. As a quick refresher — this data was compiled from the analysis of over 2.1 million Constant Contact customer emails. To ensure that the data was accurate, we only analyzed campaigns sent to more than 100 subscribers. After segmenting the data into specific industries, it appears that nonprofits generally have greater leeway in the number of images and lines of text they can put into an email when it comes to how it will impact click-through rates. 1. Nonprofit associations don’t see as dramatic a drop in click-through rates as other industries when emails exceed 20 lines of text. 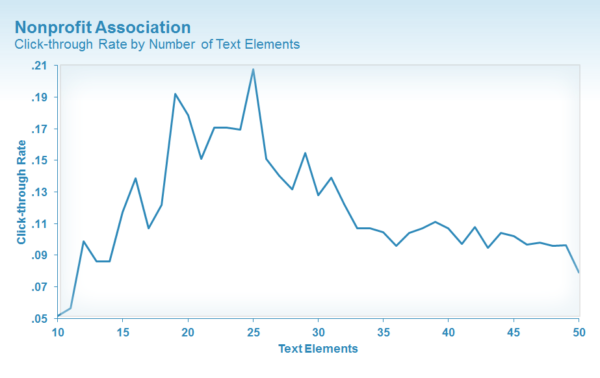 Nonprofit associations saw the highest click-through rates for emails with 25 lines of text. These click-through rates decreased gradually for emails that exceed 30 lines of text. As is the case with many nonprofits, subscribers to association email lists are usually members of that association, meaning they have an inherent interest in what is being sent to them. They are therefore more willing to read slightly longer emails while continuing to engage with the content. Keep in mind that many people won’t read your entire message and will likely skim your content after opening. 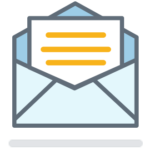 If you have an important message you need to get across to members, make sure it’s located in a prominent position within your email. 2. 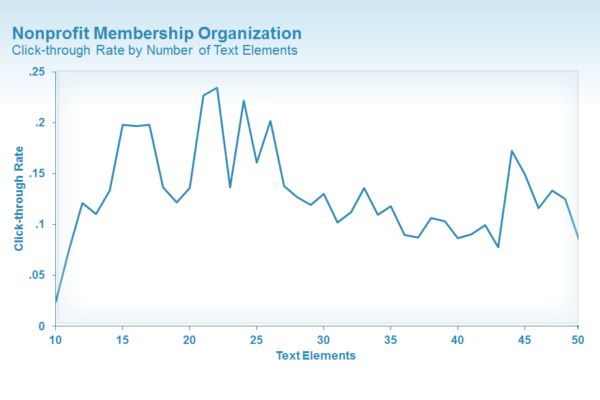 Membership organizations have an even broader range, with high-performing click-through rates beginning at 15 lines of text and lasting through 30 lines of text. It’s important here to define the difference between a membership organization and an association. Associations, such as trade or business associations, tend to be professional and career-oriented in nature. Membership organizations, meanwhile, are often those groups we join to pursue and enjoy personal hobbies and interests. Seeing that our inboxes remain very personal to us, subscribers to membership organization emails appear to show a high degree of interest in the content sent to them. 3. 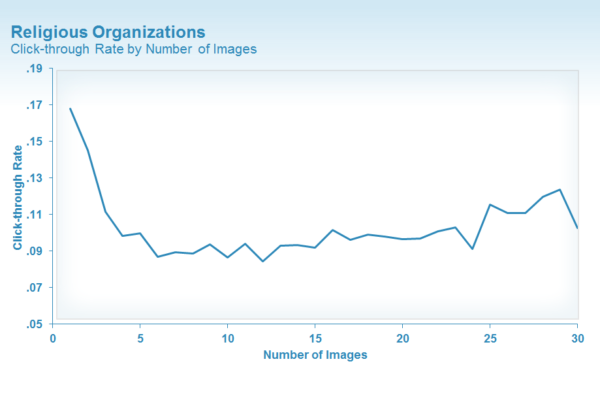 Religious organizations enjoy slightly higher click-through rates, with less fluctuation based on the number of images. You might notice that the religious organization graphic looks very similar to the overall images graph from our first post. The (relatively minor) differences being that religious organizations have slightly higher click-through rates based on the number of images, and there’s even less fluctuation based on the number of images. Again, we see a correlation here. Email subscribers of local religious organization have a vested interest and are a little more impervious to the click-through trends that impact for-profit companies. This doesn’t mean every email you send out will be jam-packed with images, but it does highlight the value of using images in your emails to better connect with your supporters. Well, there you have it. It’s been very interesting looking through this data and uncovering the trends between industries. If you didn’t see your industry highlighted, it’s likely that we didn’t have enough data to make meaningful conclusions for your business or organization. Hopefully you can find industries that are related to your line of work, or at least use the overall trends of 20 lines of text and three or fewer images as a guidance. It’s also important to pay attention to what’s working best for your email marketing. Every business is different and what’s most important is that your emails resonate with the people you’re trying to reach. Interested in more data-focused insights? 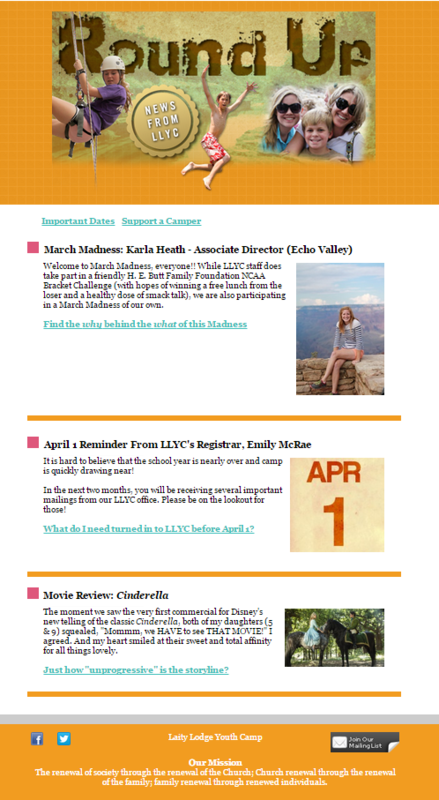 We’ll be releasing some other cool findings for other aspects of your email marketing campaigns in the near future. Stay tuned! Nonprofits — any other advice for increasing click-through rates? Let us know in the comment section!